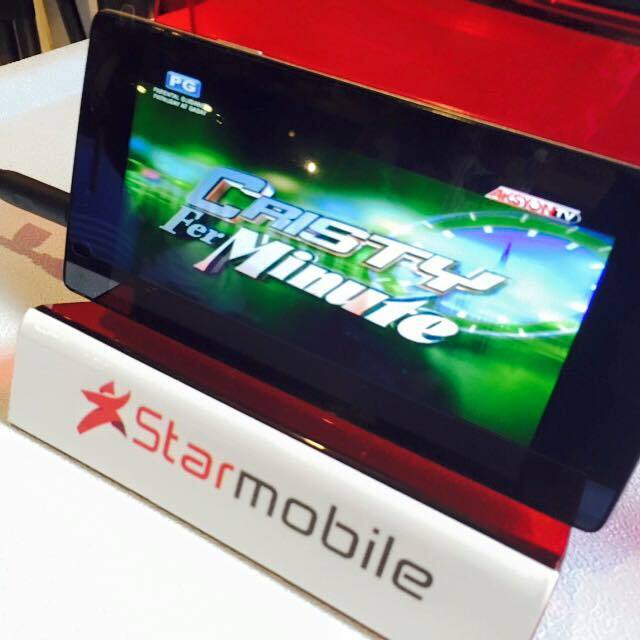 The technology and versatility of DTV phones mark a new era in Philippine mobile functionality. 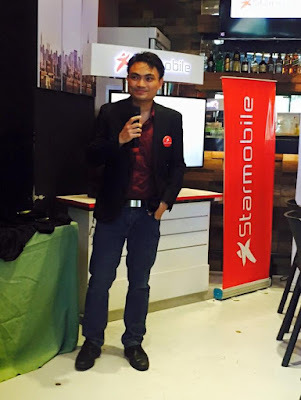 Starmobile has always put the wants and needs of Pinoy mobile users first, and digital TV phones would fit well into the modern and very mobile lifestyle of today’s Filipinos. With its souped-up line of DTV devices, Starmobile is set to affect the industry and influence the future of mobile. Crisper, high-quality video means more emphasis on great artistry. Any advances in the quality of video the average viewer can watch have called for the industry to update the way they do things, from the makeup techniques used on actors to visual effects achieved through filming or production. Mobile viewing makes TV a solo affair. Because you can now watch your favorite TV channels on your mobile through Starmobile, it means you don’t have to fight for control of the remote control whenever your favorite show is on air. Digital recording spreads viewing times out. Primetime may not be prime any longer as real-time recording functions on Starmobile digital TV phones mean that you can wait until later in the evening or even another day entirely before you watch a TV show you’ve been meaning to catch. That frees up your social life so you don’t have to make the decision between finding out what happens on the season finale of your favorite show and meeting your barkada for dinner. ‘Anytime, anywhere’ means quality TV programming can and should be 24/7. If you’re channel surfing in the wee hours of the morning these days, you’ll often find channels replaying old (sometimes very, very old) episodes of their shows. But with the Starmobile DTV phones, now you can watch your shows in bed even without a TV in your room, and you can record shows you might not be able to watch when they air. This sense of easy access means that smaller channels may want to capitalize on bigger channels’ “dead times” and air new content across the region, or top-level TV channels may want to invest in more new shows as the need for reruns will eventually become pretty much defunct. And more shows just mean more TV fun, right? Even if you’re not a TV addict, you’ll still get a lot of use out of your digital TV phone. Gamers will love the responsiveness of the system as well as the HD screen, something people who download a lot of videos will get a kick out of, too, apart from the huge memory available for use. Instagrammers and photo-foodies will appreciate the great cameras these come equipped with, as will folks who like to capture moments in time via video (like parents and travel junkies). 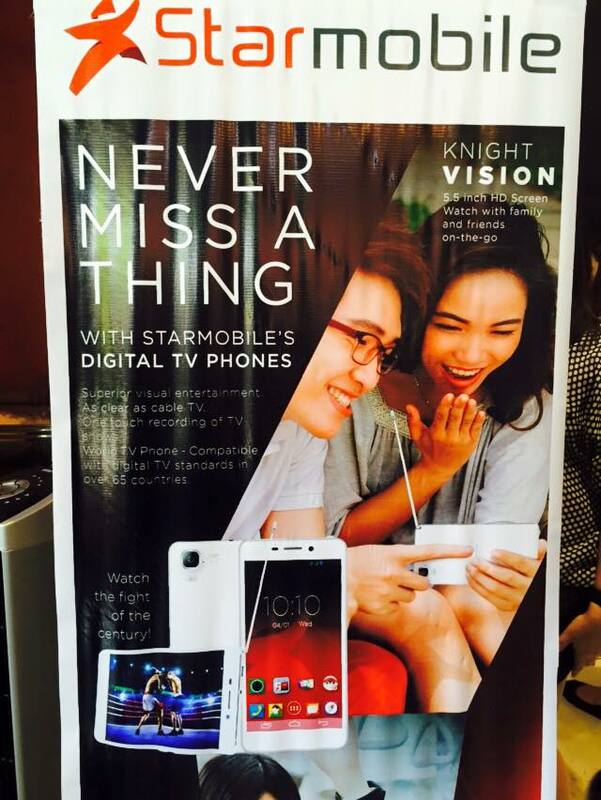 The UP Vision and the KNIGHT Vision are now available in Starmobile Stores and Kiosks nationwide while the UP Max will be available beginning the second week of June. Want in on the most fun trend in mobile gadgets since the invention of the smartphone? You can choose from three models: the big-screen KNIGHT Vision, the slender UP Vision, and soon the big battery UP Max. Leading the pack is the KNIGHT Vision (P9,990). It comes with a quad-core processor with 2GB of RAM, an HD screen in-plane switching, which means that images look great from any angle, making it perfect for watching vids with your best bud, girlfriend or boyfriend, or crush. It comes with real-time recording technology so you never have to miss a moment in your favorite sport or drama. Its camera is equipped with Optical Image Stabilization (OIS) technology, which keeps your photos blur-free and sharp. A physical anti-shake mechanism will allow you to take better videos, which are sure to be great with a 13MP rear camera with Sony EXMOR technology as well as an 8MP front camera for selfie goodness. The phone has an internal memory capacity of 16GB, though a Micro SD card slot ensures you can add up to 64GB to that. Meanwhile, there’s no need to worry that your TV viewing will result in a dead phone as the 2450mAh Lithium Polymer battery gives you up to four hours TV time, 15 hours talk time, and up to 15 days on standby mode. The UP Vision (P5,990) has more streamlined power, but it still packs quite a punch. This digital TV phone is the slimmest and lightest phone of the bunch, which means it’ll fit like a dream into most pockets and just about any purse. It features a 1800-mAh battery that comes with up to 9 hours talk time and about 10 and a half days on standby mode. Its got a 13MP rear camera that sports an AF Sony BSI lens with a Blue Glass Filter and an 8MP front camera from Samsung. The UP Max (P7,490) is built to outlast its older siblings thanks to its ultra-amped up 5000mAH battery, which is the largest on any smartphone currently on the market. With it you can enjoy up to 10 hours DTV time, 24 hours talk time, and a whopping 41.25 days on standby mode. At 9.6mm—the slimmest for a phone with a 5000mAh battery--its design remains sleek and ergonomically perfect in the palm. Plus, it comes with a DTV antenna dongle which you can simply remove when you’re not watching TV. This Android Lollipop-powered phone also comes with an enhanced user interface, better app compatibility, and improved security features, including mobile anti theft technology and data protection. Last but not the least, the UP Max also comes with a 13MP Sony IMX 135 with EXMOR RS sensor, which means you can snap photos in low-light and have them come out like a dream. To learn more, visit the Starmobile website at www.starmobile.com.ph. 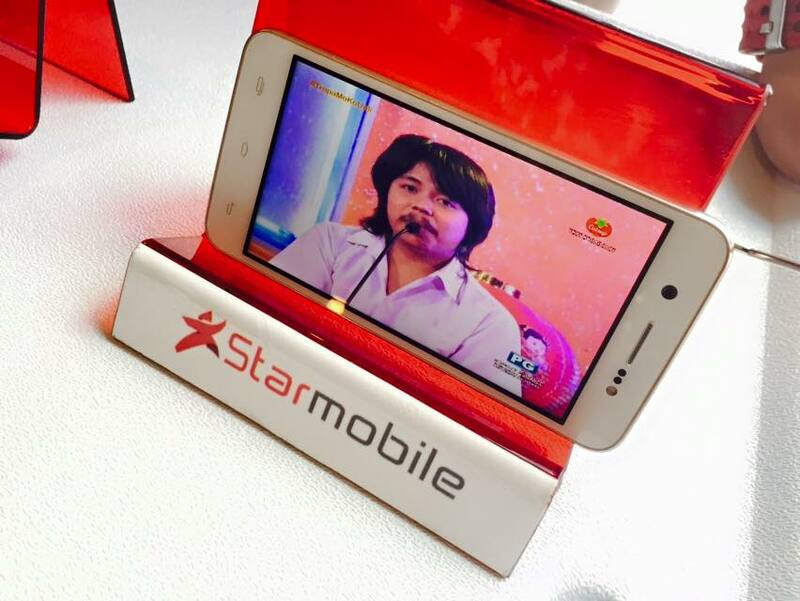 You can also search for “Happy Man by Starmobile” on Facebook or follow @happymanPH on Twitter and Instagram.